Use our stunning range of tinsel to decorate your homes, offices, trees or schools. We have plain tinsel colours through to tinsel decorated with snowflakes, holly leaves and santa boots. 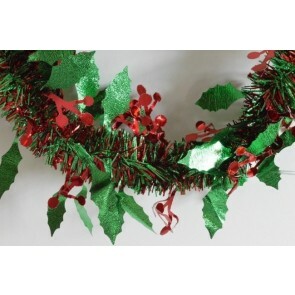 88136 - Red & Green Christmas Holly Leaf & Mistletoe Tinsel x 2 Metre Lengths! 88136 - Gold Christmas Holly Leaf & Mistletoe Tinsel x 2 Metre Lengths! 88136 - Silver Christmas Holly Leaf & Mistletoe Tinsel x 2 Metre Lengths! 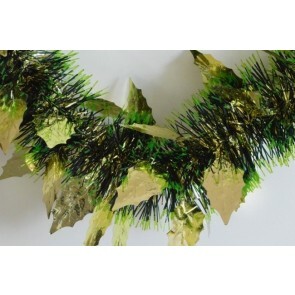 88142 - Gold Triple Coloured Holly Leaf Christmas Tinsel x 2 Metre Lengths! 88142 - Red Triple Coloured Holly Leaf Christmas Tinsel x 2 Metre Lengths! 88139 - Blue Coloured Tinsel with Hanging White Snowflakes x 2 Metre Lengths! 88139 - Red Coloured Tinsel with Hanging White Snowflakes x 2 Metre Lengths! 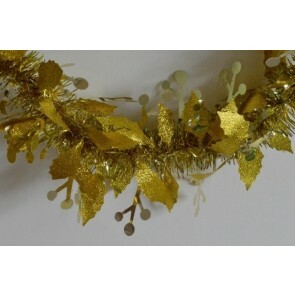 88138 - Gold Coloured Holly Leaf Tinsel x 2 Metre Lengths! 88138 - Red Coloured Holly Leaf Tinsel x 2 Metre Lengths! 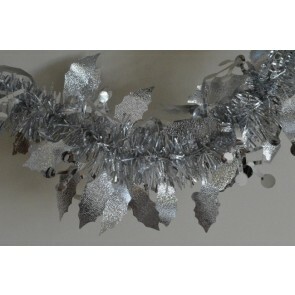 88138 - Silver Coloured Holly Leaf Tinsel x 2 Metre Lengths! 88140 - Gold Triple Coloured Christmas Tree Tinsel x 2 Metre Lengths! 88140 - Pink Triple Coloured Christmas Tree Tinsel x 2 Metre Lengths!